We can help for families to get babies with infertility treatment at affordable price. IVF can be tried up to 45 years of female age and the treatments are done in beautiful private clinic. You do not have to spend more than 2 weeks in Budapest, Hungary to do the IVF. We collected all the relevant information about your stay in Hungary. However, if you want to stay in Budapest for the whole process (1-2 months) we are happy to help you to spend a substantial time in the wonderful city and its surroundings. 1. First consultation – patient describes the reason(s) for turning to a fertility center; presents any gyneacology/ infertility related results if there is any; based on the information given, doctor creates an examination plan for the patient. 1 hour consultation at the Clinic in Budapest or at your local gynaecologist.You get your pre-examination plan. Please, make sure that you check the validation time of the tests to avoid extra cost and effort. 2. Consultation of the result required – when all the results asked on the first consultation are ready, doctor describes what are the possibly successful ARTs (assisted reproductive technology) the patient can choose from (AIH/AID or IVF). You or your local gynaecologist is sending your test result to the Clinic in Budapest. Your local gynaecologist can consult with your doctor at the Clinic in Budapest. You choose from the available processes. 3. Stimulation – on a certain cycle day discussed with the doctor. The patient comes back for a short ultrasound where all the medications needed are prescribed and it is discussed exactly how and when they need to be taken (we mainly talk about hormones). You can do all the stimulation process at home. Your local gynaecologist and the doctor at the Clinic in Budapest consult about the required ultrasounds and medicines. 4. Folliculometria – series of short ultrasound on determined days to follow the maturing of the eggs in the ovary (it generally means 2-3 occasions). Your local gynaecologist can do the ultrasounds agreed the necessary days with the doctor at the Clinic in Budapest. 5. Ovarian Punction (OPU) – both parties of the couple (if not donor program) must be present for sperm sample giving on the one and for gaining the mature eggs on the other side. You and your couple (if not donor program) has to be at the Clinic in Budapest on a specific day. 6. 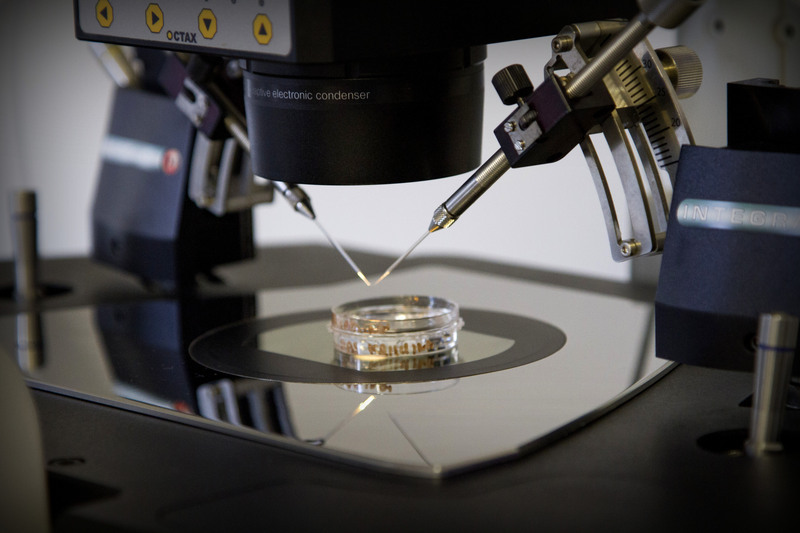 Embryo maturing – takes place in the laboratory, patient is informed by phone about the process, and results. You have to stay in Budapest during these few days. 7. Embryo Transfer (ET) – embryo(s). A few days after the Ovarian Punction (OPU) you have to attend at the Clinic in Budapest. 8. Blood test – it is to check whether the implantation of the embryo(s) was successful. The blood test to check the result is done 14 days after the Embryo Transfer (ET). You can do also this one at home.